Marcos called us two days before his proposal to Lexi. When he told us that she didn’t even know he was going to be on Maui, we got extra excited. 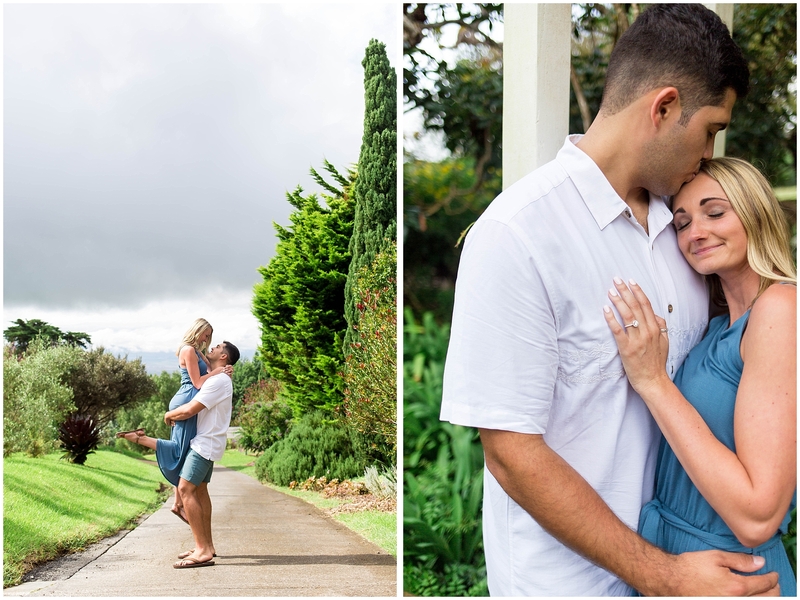 He wanted the proposal to take place at Ali’i Kula Lavender Farm in Upcountry Maui. While we never get tired of the beach, it’s always fun to get a change of scenery. 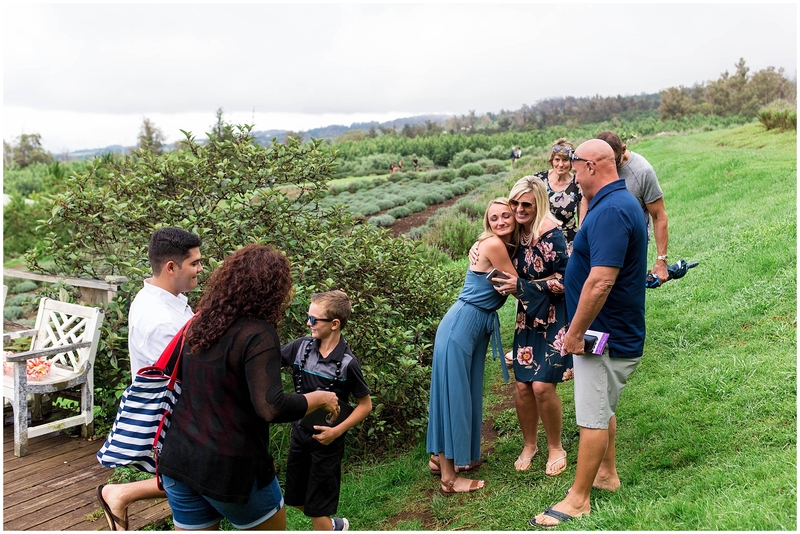 Maui has so much variety to offer and this lavender farm surprise proposal certainly shows off a different side of the island. Lexi went up to the lavender farm with her family under the impression that they were there to take family photos. Little did she know that Marcos was there waiting for her with a ring in his pocket. Marcos reserved the deck for the special moment. It has a stunning view and a great place for our photographer to hide. It was a little rainy while he was waiting for Lexi to arrive, but the sky cleared up and the weather was perfect for the proposal and engagement session! Lexi was pretty amazed to see Marcos there at the lavender farm. He led her over to the deck, took her hands in his, and popped the question. Lexi teared up – it was the sweetest! Plus, the families were able to watch from below and quickly head up after the proposal for congratulations and some photos together. The lavender farm is such a lovely property. We were able to have tons of fun amongst the fields and flowers. 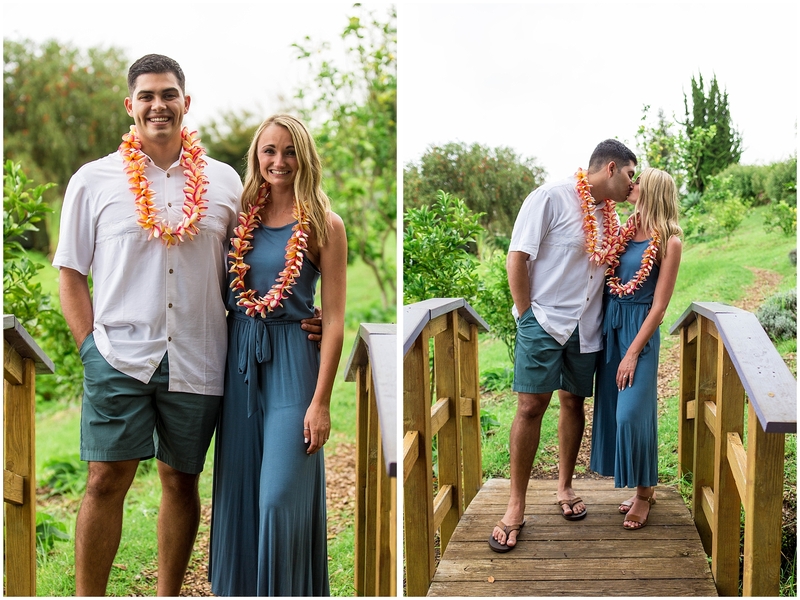 Marcos and Lexi: Thank you for reaching out to Engaged on Maui for your surprise lavender farm proposal! We couldn’t be happier for the two of you! Do you envision a proposal out in nature (but not necessarily on the beach)? We can help you with that! Contact us today!